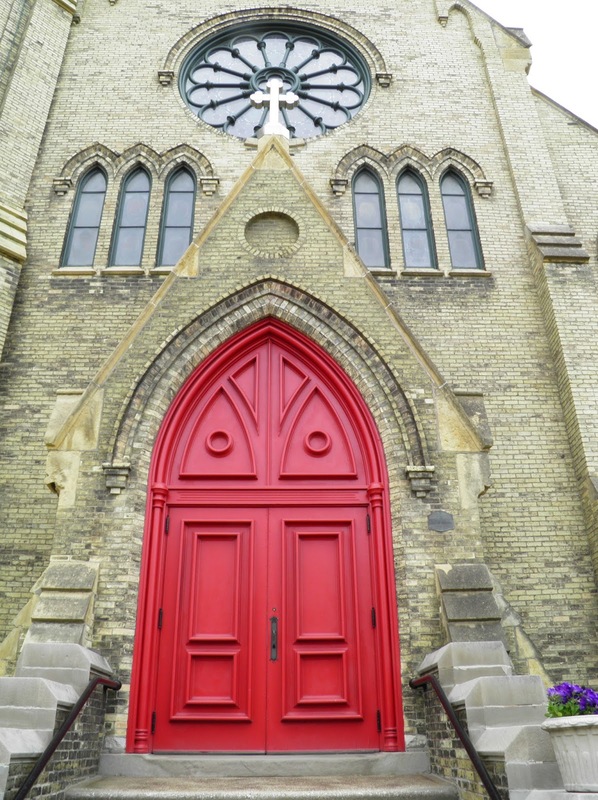 ...'love' a church (red) front door? That one is a beauty! Oh, I do love that red door. Fits beautifully on the gorgeous church. I love church doors! And a red one even better!